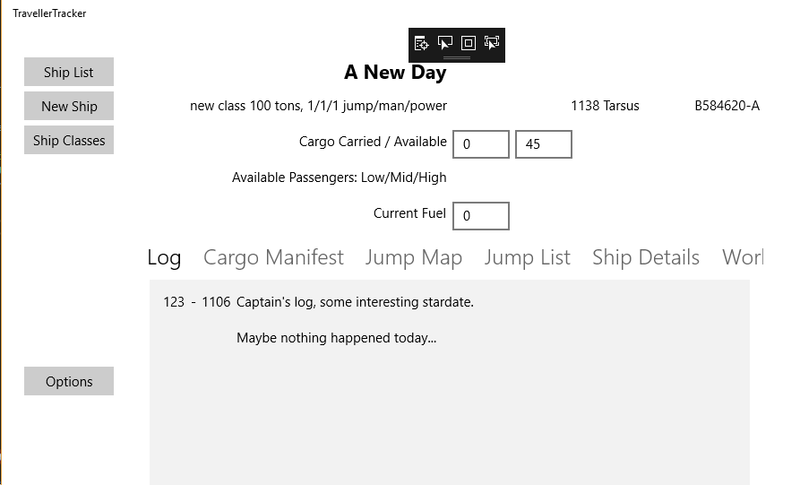 While the class had fuel requirements, I forgot to put in how much fuel the ship actually had. SO that's been added, and I got a bit more work done on the tracking view as seen below. 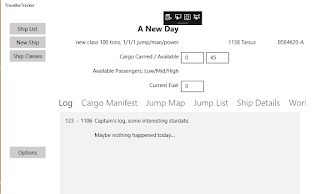 Also linked in the log, so my test on the ship model auto-filling a few things worked. Slow progress, but better than no progress.